Sometimes it does feel like it's impossible to take pleasure from even the simplest things without having the fear that somebody thoughtless will come along and spoil it. I must admit I felt a little bit of positivity about this, thinking perhaps that it might not happen but of course, as the song says 'I Should Have Known Better'. 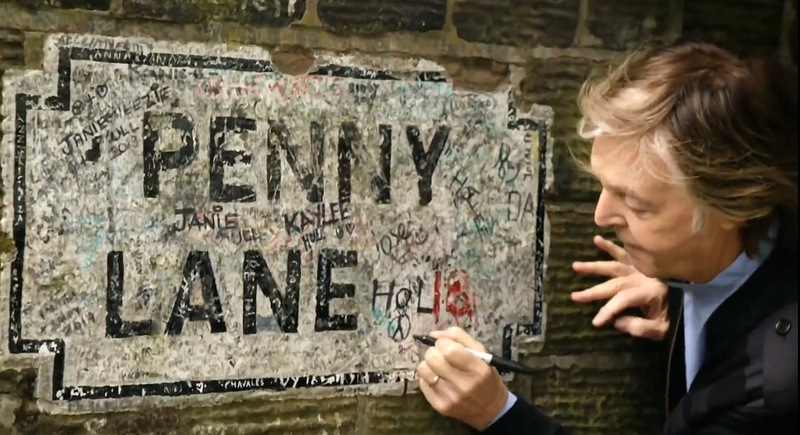 I'm talking of course about the Penny Lane sign autographed by Paul McCartney on 9 June 2018. As a resident I've never understood why 'fans' visit from all over the world and feel the need to write on our Beatles heritage - predominantly the gates of Strawberry Field, the Penny Lane road sign and Ringo's birthplace in Madryn Street. We used to have a family from Norwich in my Facebook group. They were keen fans and seemed nice enough. 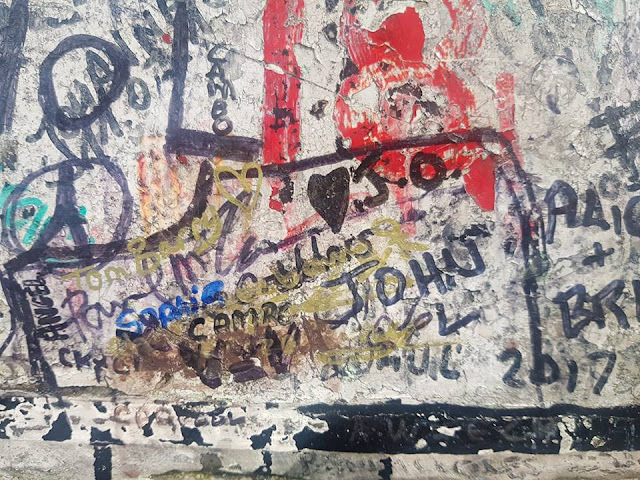 They visited Liverpool and duly posted photos of the trail of vandalism they'd left across the city. The mother had written her son's name in marker pen in the cement between the brickwork on RIngo's house at least 30 times 'because her son was such a fan'. They couldn't see any harm in what they'd done. I responded that I hoped to visit Norwich one day and would be sure to bring my Sharpies with me when I visited their cathedral. They didn't like that, and quit the group. Yes, I see the irony in me complaining about people writing on a sign that Paul McCartney himself wrote on. I took these the day after Paul visited. I actually hesitated before posting my photos. Did I want to draw attention to it and risk people vandalising it or trying to chip bits off and try and steal it? 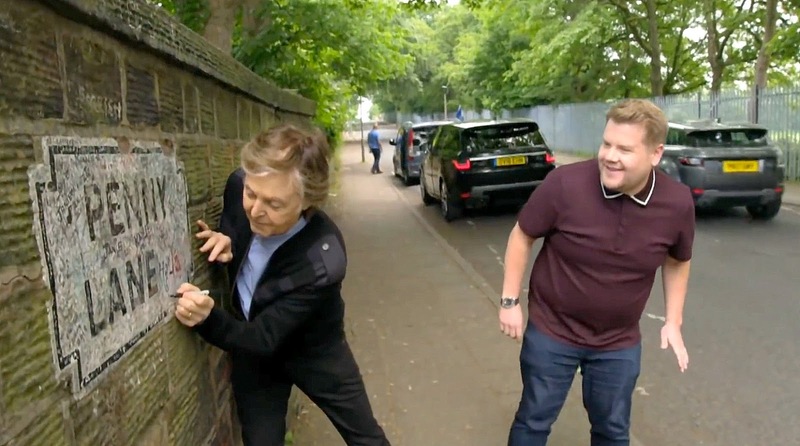 Of course, once it was made public in 'Carpool Karaoke' the writing was literally on the wall. Sadly, but inevitably this is the state of the sign after only 2 weeks. Do people go to Stratford Upon Avon to write on Shakespeare's birthplace? Or Haworth to scribble on the Bronte's Parsonage? Does this happen at Graceland? You are welcome to visit Liverpool anytime you like but PLEASE STOP vandalising our heritage.